BMC congratulates you on the purchase of your new BMC product. Our name stands for high quality, durability and functionality in the development, production and processing of the materials used as well as the striking looks resulting from the finish, concept and design. Even with proper handling and maintenance of your bicycle, you are not immune to your bicycle being damaged in a manner not covered by the warranty. The crash replacement program is an optional service provided by BMC Switzerland AG (hereinafter BMC), as a result of which you shall have the one-time opportunity to have your BMC frame replaced with a discount on the respective valid, official list price. The following procedures and provisions govern the services guaranteed to the buyer as part of the crash replacement program by BMC, as well as the preconditions under which claims can be made for these services. These provisions on the crash replacement program shall not guarantee an independent claim. By activating (see point 2 below) the crash replacement program, these provisions shall become an integral component of BMC's warranty provisions. The terms defined in the warranty shall in turn also be valid for crash replacement claims. In order to be able to benefit from a possible crash replacement, you must register your bicycle/frame on the BMC website within 30 days of the date of purchase. After this 30-day period, registration is no longer possible, and a claim for crash replacement can no longer occur. 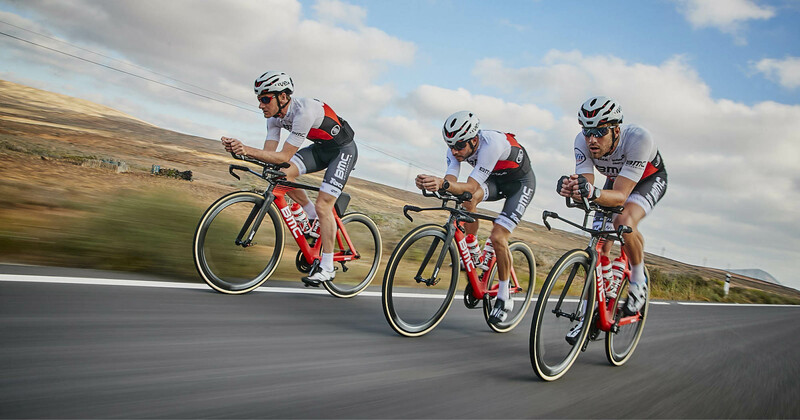 We therefore recommend registering with BMC immediately upon buying a new bicycle or frame from BMC. By registering, you not only meet the basic precondition for participation in the crash replacement program, but you also extend the warranty on your frame from 3 to 5 years from the date of purchase at the same time. A frame procured by means of crash replacement shall be excluded from a further crash replacement. The 3 to 5 year warranty will be extended from the date of replacement under the same conditions of the original manufacturer warranty. Crash replacement shall span the entire warranty period. Crash replacement may take effect if the frame has experienced a detrimental effect to its functional capacity and thus negatively impacting safe riding. If the frame is not damaged, or is not damaged to the extent described above, no claim for crash replacement can occur. The complete frameset shall be replaced as part of crash replacement. Please refer to the product description of the respective model for the scope of delivery. Damaged components that are not part of the frameset shall be excluded from crash replacement. If the same model can no longer be supplied, a frame from the direct successor model may be purchased. The labor costs/wages of the BMC retailer are not be included in crash replacement. The crash replacement shall be reported to your BMC retailer by means of the completed crash replacement form, a copy of the warranty card, and the purchase receipt. Your BMC retailer shall inform BMC of your request for crash replacement, incl. photos of the defective bicycle and frame number. BMC shall check the circumstances and deliver a replacement to the BMC retailer in the event of a positive decision. The assembly and basic adjustments must be performed by the BMC retailer. Should these preconditions not be adhered to, warranty claims of any kind may be rejected. Should a provision from the crash replacement program be or become invalid or exhibit a loophole to be closed, the legal force of the remaining provisions shall remain unaffected. Instead of the missing or invalid provision, a provision that most closely approximates the meaning of the original provision shall be agreed. For all disputes from or in conjunction with the crash replacement program (including with regard to the question of its conclusion or validity), the exclusive jurisdiction of the courts from the Canton of Solothurn shall be agreed. This purchase agreement shall be subject to Swiss law with the exclusion of a conflict of laws, as well as the United Nations Convention on Contracts for the International Sale of Goods (CISG).